If you regularly transport seven or eight people, then you'll already know that most large MPVs have one pretty significant drawback: with all the seats in use, you can't fit much luggage in. Which isn't much use, unless you're carrying a penniless party of refugees fleeing from an oppressive dictator. That's why larger families or businesses regularly needing to transport clients often need something even bigger. 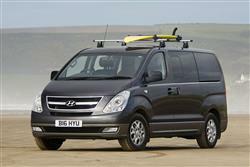 Something like this - Hyundai's i800. Such vehicles offer a whole different world from something Sharan or Galaxy-sized. It isn't just the provision of eight, rather than seven seats but the fact that behind these chairs, there's room enough for everyone's baggage, without resorting to roof boxes or trailers. And that makes all the difference. Van-based contenders like the Mercedes V-Class and the Volkswagen Caravelle have traditionally ruled the roost in this sector - but charged very heavily in doing so. A perfect opportunity then, for a more value-orientated approach. Let's check it out. Rather than using the same chassis as a commercial vehicle, this people carrier has a purpose-made coil sprung rear suspension system with five locating links to ensure optimum ride quality and manoeuvrability. As you might well expect, you're not going to see the i800 gracing the cover of evo magazine anytime soon, this Hyundai not doing a whole lot to hide its H-1 van roots. Still, despite the fact that it never feels anything other than a big, tall bus, the i800 does get a very good diesel engine. The 2.5-litre unit comes in two states of tune, offering 136PS with a manual gearbox or 170PS with automatic transmission. We'd go large. The 170PS unit offers a massive 392Nm of torque; enough to ensure that the i800 never feels sluggish, even with a full load. At the wheel, you sit high up in command of a huge glass area, with parking aided by standard reversing sensors. It all means that unless you're a very nervous sort - or trying to manoeuvre round somewhere very tight - you quickly forget that this Hyundai is anything out of the ordinary at all in terms of its bulk. There's even a reasonably tight 5.6m turning circle. Park the Hyundai i800 outside your neighbours house and you may well have them googling their claims to 'Right to Light'. It's a big unit, the 5125mm length making it longer than a Mercedes S-Class and the 1925mm height making it taller than Rio Ferdinand in stockinged feet. While it's not going to win any beauty prizes, that blockhouse shape is undeniably the most efficient way of maximising internal space. That eternal quandary that faces most MPV owners (namely that when they've loaded the vehicle with passengers, there's nowhere to put the bags) just doesn't apply with the i800. Even with eight up, there's a 581-litre luggage bay - almost twice as much as some estate cars. The car features a pair seats in front and two benches behind, each accommodating three adults in comfort with uncompromised head and legroom. Both rear benches feature a 60:40 split-fold and recline while the centre row also slides forwards or backwards to tailor space as required. All of the rear seats are accessed by pair of sliding doors, making access easy wherever the i800 is parked. Once inside, the ambience is far more car-like than other 'minibus' style rivals, with two-tone interior trim, privacy glass, a six-speaker audio system and ducted air conditioning throughout. Individually-controllable overhead vents in the rear make sure all of the occupants can keep their cool. 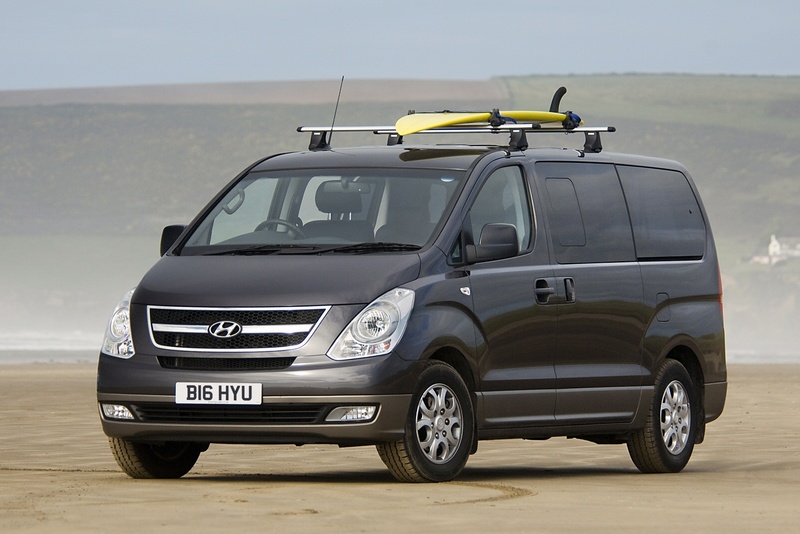 The i800's value proposition can best be put into context by the fact that the closest comparable vehicle, the Volkswagen Caravelle, would cost around £36,000 when equipped to the level of a Hyundai i800. Given that the i800 costs around £25,000 in 136PS form or around £27,000 in 170PS guise, it looks very competitive value for money indeed. There's plenty of equipment too. Air conditioning with second row controls, power front windows and mirrors, a heated driver's seat, a decent quality 6-speaker MP3-compatible stereo with steering wheel controls as well as USB and AUX connections, rear privacy glass, front foglamps, alloys wheels and reversing sensors are all standard. Safetywise, there's just two front airbags but you do get ESP stability control, ABS with brakeforce distribution, traction control and second row ISOFIX child seat mounting points. If you need a vehicle this big for your family duties, it's probably fair to assume that your brood isn't exactly cheap to run and that any savings made on transport will come in very welcome. Good news then, that despite its torquey performance, the i800's engines are also capable of decent economy. The 136PS version manages 33.2mpg on the combined cycle and 197g/km of CO2 and even the 170PS variant we tried manages 32.1mpg which, thanks to the 75-litre tank, means you could go more than 560 miles between fill-ups. Emissions for the auto version aren't especially saintly at 225g/km - unless you divide them by the number of people that this car can carry - in which case they start to look very good indeed. Insurance is group 31 and there's the usual long Hyundai five year warranty. 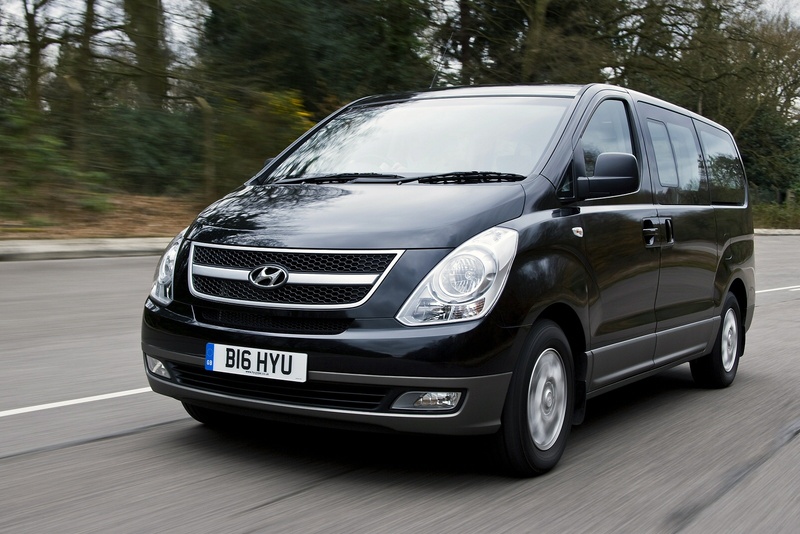 If you�re looking for a new Hyundai i800 2.5 CRDi  SE 5dr Diesel Estate for sale, you�ve come to the right place. At Bristol Street Motors we don�t just have the best Hyundai i800 2.5 CRDi  SE 5dr Diesel Estate deals, we also offer friendly advice and help with all your enquiries to ensure your buying experience is a happy experience.